“I want to go see Grandpa.” Our five year old son, Bryce pleaded. “I know that we just saw Grandpa two days ago, but things have changed. Grandpa is not able to talk to you. He is hooked to machines and his eyes are closed. I want you to remember him as he was when he was up and joking with you at the hospital, like he was on Saturday,” his father and I explained. “I want to see him now.” Bryce said adamantly. “Do you understand that Grandpa can’t answer you?” I asked. “Yes, I still want to see him!” Bryce exclaimed. Conversations like this took place over the course of a few occasions and after some consideration and even more dialog between us, my husband and I decided that it would be best if our five-year-old son visited the hospital on the last day that my father was of this Earth. We made sure that Bryce understood the circumstances to the best of his ability to comprehend and our ability to explain. But sadly, death is fact of life and these goodbyes are said routinely by families all over the world on a daily basis. This story goes deeper to explore how our son processed the experience with grace and maturity far beyond his years. At first I was apprehensive about Bryce visiting the hospital at all because I thought that it might be best for him to recall happy memories of Grandpa and not have the last image of Grandpa be a potentially disturbing one. After presenting this view in response to my son’s request and his persistence in wanting to see Grandpa, I started to think that maybe there was another way to approach the situation. My husband and I agreed to let our son see Grandpa in the hospital. Knowing our little one, this was the best choice for us as a family. When the fated day arrived, I was not sure what to expect. Bryce and his father came to the hospital to join me. What was about to transpire was unfathomable. My father’s life support was being removed. After collapsing several days prior due to congestive heart failure, and not responding to stimulation it was inevitable that his life would conclude at eighty-six-years-old. My father lived with us and was a constant in all of our lives, especially both of his grandson’s lives. He was a daycare provider for my first born son and playmate to both of his grandsons, who were born fourteen years apart. Our five-year-old son is inquisitive and wants to see exactly how the world works. For example, if we try to gloss over an explanation of any type of topic, we are met with frustration and demands for the whole story. Bryce just knows when we are holding back information. I knew that he would never forgive us for not taking him to the hospital so we made sure that his transition of losing Grandpa was done with thought and consideration and most importantly, no regrets. The interaction was one sided but beautiful nonetheless. He said “Goodbye Grandpa, I love you,” like a truly old soul. He processed his grandfather’s death with grace and acceptance. I was amazed by him and his ability to reason and understand death. (If only I could be so spiritually evolved.) I am not by any means saying that this was easy for our son, but he processed the death slowly, so he’d seem fine for a few days and start crying suddenly especially before bedtime. This went on up to a couple of months after dad’s passing. This is a little boy wants answers to all things even the seemingly unanswerable. He knew and understood that grandpa was not coming back. I attribute this processing to the fact that our bird, Roscoe, passed away the previous year. Upon asking us several times when Roscoe was coming back; we tried to explain death at that time. It took a while for our then four-year-old, to understand his bird was gone, but eventually he did seem to grasp the concept and permanence of death. It seems certain that his early experience with death in some way took death out of the abstract and made it seem more literal and permanent. My son’s kindergarten teacher was open to talking about Grandpa. He may have felt more comfortable talking to anyone but me because I am not skilled at controlling my emotions and would burst into tears when anyone mentioned my dad. It was a great comfort to me that there was an impartial adult around. Our son was able to talk about the fun times that he had with my dad, and express that he was lucky to have lived so long. Bryce spoke about missing Grandpa, and holds items that he and his grandfather worked on together in special regard. For example, they made a little house out of the wooden crate that Clementine Oranges are sold in. Bryce and Grandpa made crafts out of popsicle sticks and many other materials. I read and recommend the book by Maria Shriver; Sandra Speidel (2007-10-30). What’s Heaven?. Golden Books Adult Publishing. ISBN 978-0-312-38241-4. This book was useful to my son and his processing of the event. 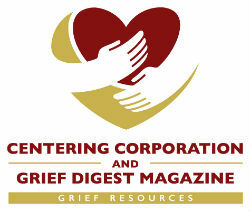 I used it several years prior when my mother passed away and my other son was young and processing the grief. It is my hope that this article will help others who have young children and are dealing with the loss or anticipated loss of loved ones. Sheriann Stanton is a freelance writer who writes both fiction and nonfiction and currently works as a Tutorial Assistant, Test Proctor and Adjunct Faculty at a Berkshire Community College. After being out of the Academic Pipeline for several years, and a first generation college student, she decided to attend college and has since learned an Associate’s Degree in Liberal Arts, a Bachelor’s Degree in Psychology, and a Master's Degree in Education. Sheriann has been writing for many years and after publishing her thesis, is exploring online writing opportunities. In addition creating several blogs of her own, including a Student Success Blog, she is a regular contributor to Blogmutt. She is currently writing a novel and several research articles. Grief touches all of us eventually, and Sheriann is no exception. She lost her mother in 1999 and her father in 2015 in addition to several other family members and friends. She is touched deeply by the passing of her parents and other loved ones and hopes her writing both entertains and comforts others who suffer loss.